I'm awfully proud of these bruises. 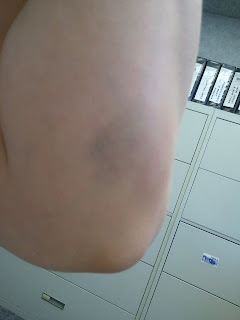 Elbow bruise from falling several times on the same elbow at an open skate (and not being smart enough to put on elbow pads). A better picture of the arm. 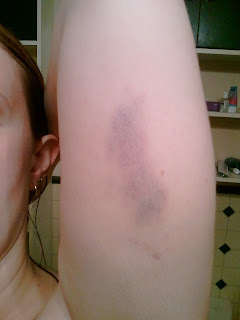 My elbow was quite lovely from the same practice as the upper arm, but I didn't get a photo for some reason. 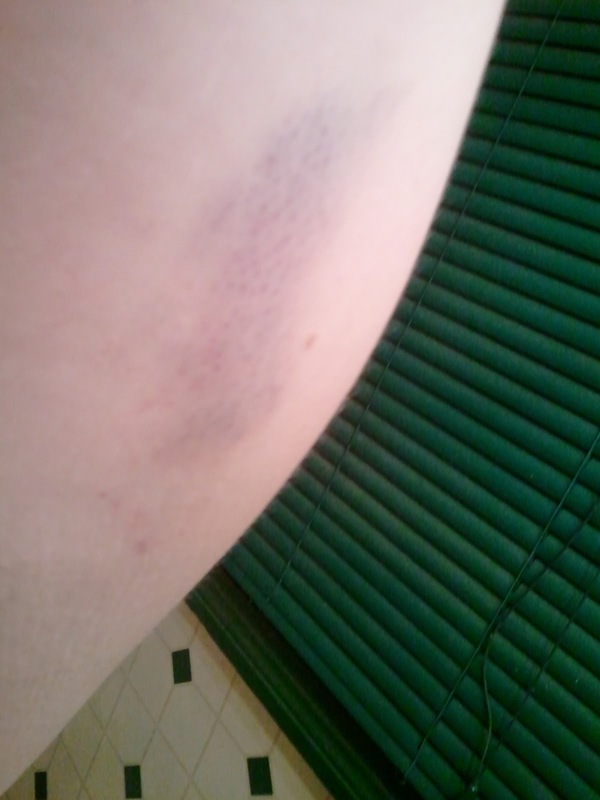 It all looks more impressive in person, and my legs are covered in tiny marks. I often worry that people will think I'm being abused. But it's so worth it.